After meeting world-renowned cellist Yo-Yo Ma and succumbing to his charm, documentary filmmaker Morgan Neville set out to document his ensemble of musicians from around the world, playing traditional instruments of their home countries, and morphing all these different traditions together to make something entirely new. Yo-Yo Ma’s charm is hard not to succumb to, and Neville’s storytelling is as light-footed, smooth and masterful as in his previous documentaries, like the wonderful 20 Feet from Stardom, focusing on background singers. This time, he focuses on protagonists from places where traditional music is not appreciated any more, countries who have had a cultural revolution: China, Iran, and Syria. Following these gifted musicians for several years, it is heartbreaking to see their anxiety grow with regards to their homelands. Kayhan Kalhor plays the traditional Persian Kamancheh, he is one of the best players in the world. But he is not allowed to perform in Iran. 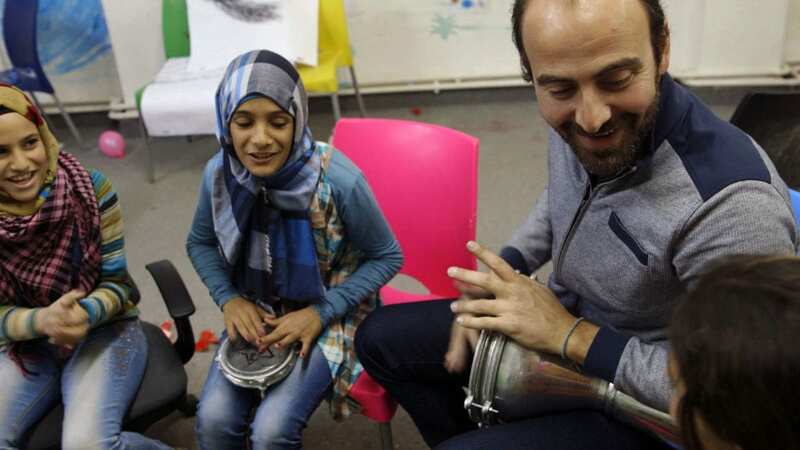 Kinan Azmeh, Syrian clarinetist, has lost the motivation to compose music, feeling its pointlessness and his own powerlessness in the face of what his compatriots have to go through. So he travels to Jordan, and the film follows him, to give music lessons to young refugees from Syria. With great sensitivity and empathy he approaches the children to give them some hope, some perspective, and some sense of joy. Neville is planning to bring the film to as many audiences as possible, who normally don’t have access to this kind of media. He works with Save the Children to organise screenings in refugee camps. In the face of tightening borders and violent conflicts based on traditions, culture, religion and value systems, the Music of Strangers serves as a reminder of the inevitable dialogue that every culture is built on. And it does it with infectious music and a visual lightness that bespeaks an exceptional documentarian talent.